- A 4-colour silkscreen print, 35 x 12.5 cm, on Conqueror Connoisseur 300 gram paper, signed and numbered. - A reproduction of the original sketch on traditional Rives extra white 320 gram paper. - A unique certificate of authenticity, laser engraved on 3 mm cardboard. 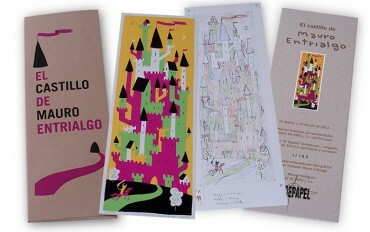 The folder itself is a 2-ink silkscreen print on 300 gram recycled paper. Series of 199 numbered and signed copies, from 1 to 199.